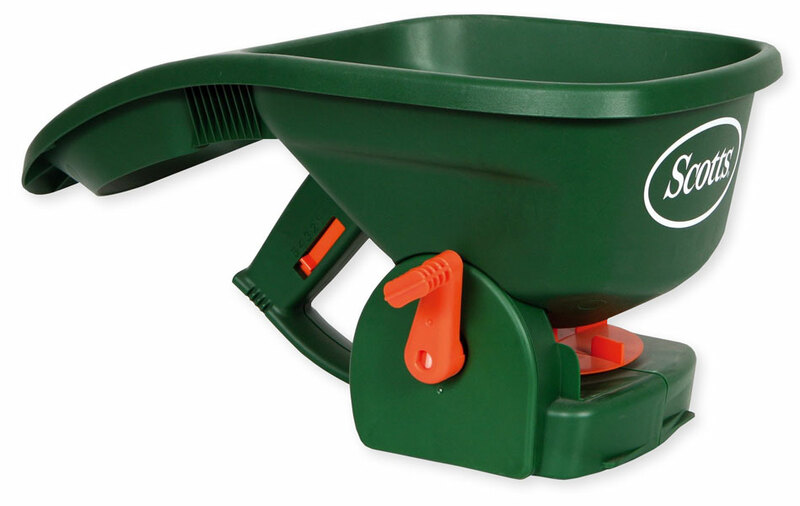 Depending on the size of bag, the easy thing to do is just to calculate how much lawn area you have (length x width) to get average square feet and decide how much fertilizer you need to cover the entire area. You can use low or high settings depending on how fast you walk. The trick is to make sure that you get the proper amount of fertilizer for the square footage required. You really don't use exact settings on spreaders when you use this method. It's always best to under-dose or apply less fertilizer than what is needed, especially when its hot. Also bermuda doesn't need a whole of fertilizer, most lawns only need 2 applications per season, 3 at most. Since this is June, an application now, and then an application in Late August should be more than sufficient. If you are under watering restrictions in your area, then don't over apply, and make sure that you water within 24 hours of application, otherwise, you chance burning your lawn.